Experience the best of Botswana on your Africa safaris. 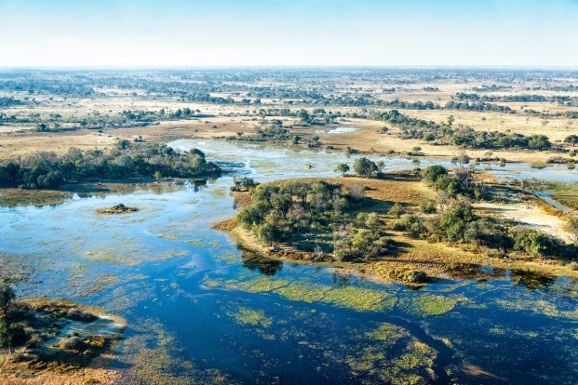 Okavango Delta, an enchanting oasis in the north-west of beautiful Botswana and a UNESCO World Heritage Site, is one of the largest freshwater inland drainage systems of Africa. In summer, the waters of the Okavango River travel southwards from Angola, flooding the plains at the Delta, only to be absorbed by the thirsty expanse of the unforgiving Kalahari. Every year, thousands of animals migrate to an enchanting oasis in Africa in search of water and stay to give birth to new life, before retreating into the wilderness once again. Welcome to the iconic Okavango Delta – a vast, imposing landscape dissected by glittering waterways and criss-crossed by animal tracks, where nature is at its most elemental and survival of the fittest is the only mantra. The dry winter months between June to October are when the hordes descend on the Delta. In the humid, sunny, wet season that follows, the swampy marshlands of the Delta transform into miniature lakes, animals give birth to young ones, and thousands of birds flock to the area. Wildlife encounters during the wet season at the Delta are what makes African safaris here some of the best ever. Here is our list of the top five things to do in the Okavango Delta on your private Africa safaris. This summer, take a walk on the wild side! A trip through the narrow waterways on board traditional canoes will take you to beautiful hidden islands, inaccessible during the rest of the year. Sit back and watch your Mokoro glide through the rivulets as eerie reed banks stand guard on either side. Once the only form of transport for the bushmen of Okavango, these canoes will take you into the heart of the wetlands. You’ll find some of the finest wetlands at the Xigera Concession, perfect for intensive bird-watching. If you’re lucky, you might just spot the Pel’s Fishing Owl or an African Pygmy Goose. If the dug-out canoes are too slow for you, try taking a motorboat through the floodplains and lagoons on your Africa safari. 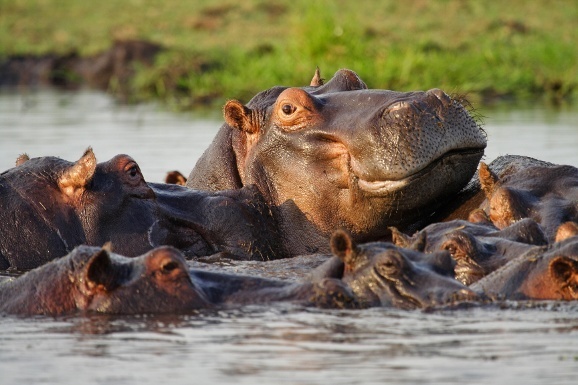 The hungry hippos yawning with abandon, wild elephants frolicking in the water, and the antics of the lechwe antelope will take your breath away. The crocodiles get really friendly during the wet season – you might find them watching you just as curiously. 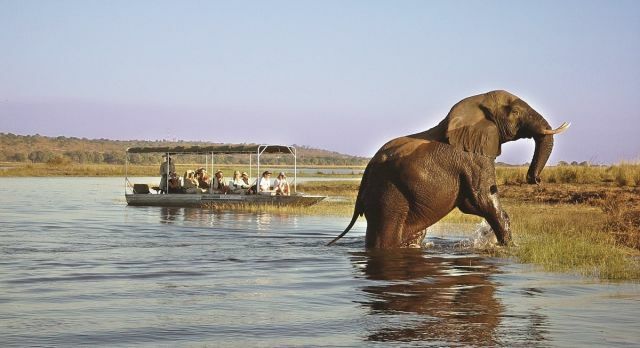 You’ll see thousands of elephants and big game on the beautiful waterfront of Chobe National Park. Be warned though – the Park is rather popular with the visitors. This region offers some of the best game drives during Africa safaris, be it in vehicles, on horseback, or on top of elephants (which travelers prefer most). Almost 200,000 mammals and hundreds of birds are scattered all over the area during the wet season, naturally making this a predator’s paradise! A tour through the Duba Concession is often a great way to see the primal fight between lions and buffaloes – not an experience for the weak-hearted! Set out early in the morning if you want to spot the lions hunting during your Africa safari. Nighttime is best for watching cheetahs and leopards at work. A walking safari is probably the best way to get up close and personal with the wild animals in the Okavango Delta. Armed with a personal ranger and a guide, a bush walk can be quite safe and gives you the opportunity to follow trails close to watering holes and rivulets. You’ll want to keep those binoculars handy at all times during your Africa safari. Take a walk through beautiful Botswana. The Shinde Concession, dotted with palm islands and popular for it’s wild dogs, offers a great many activities and is perfect for walking Africa safaris. Popular for the large number of lions that roam here freely, Savuti and Linyati on the borders of Chobe National Park, offer exclusive experiences throughout the year and we highly recommend this as an activity. You’ll find huge herds of elephants set against the backdrop of unspoilt wilderness and fewer tourists to bother you as well. The remote, private Africa safaris and drives here are well worth your time. The Okavango Delta has both National Parks like Moremi and Chobe as well as Private Concessions like Xigera, Duba and Shinde near it. At the National Parks, rigid rules allow animals to roam around freely and human movement is more restricted. 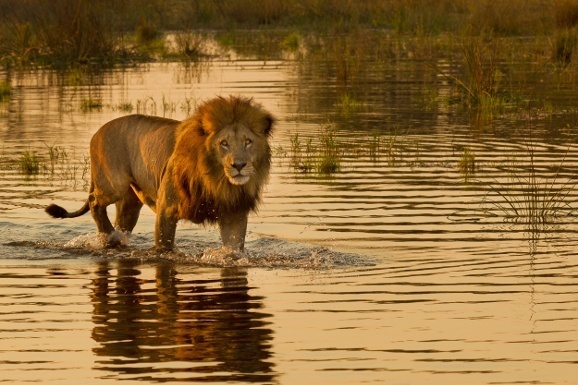 Moremi National Park is home to some of the finest game in the region. Do visit Chief’s Island at the Park, where the tribal chiefs used to hunt for the wildlife. 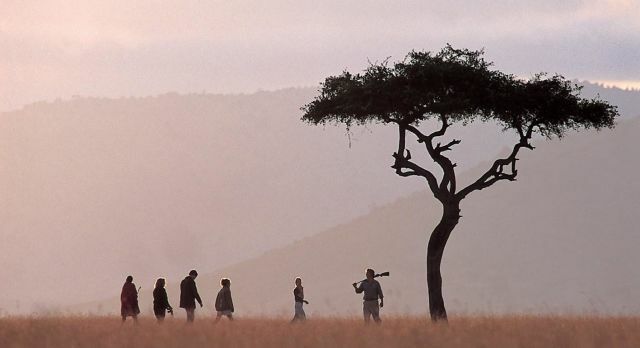 Africa safaris are more relaxed in private Concessions. The rules are less rigid, the safari timings and schedules are more flexible and night drives are common. 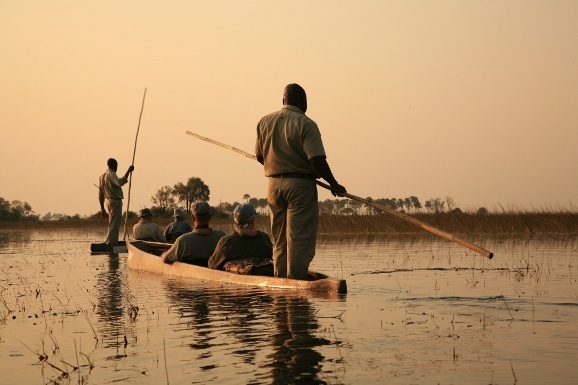 Home to the famed bushmen of Africa, Okavango boasts of some of the best camps and lodges. If you are looking for luxurious Africa safaris, watching the Big Five in Africa from very close quarters, and the best accommodation we are happy to help. Get in touch with us today to plan your safari of a lifetime! 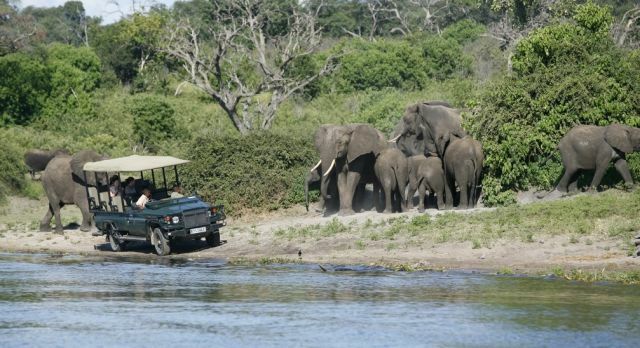 Want your own private Africa safari experience in the Okavango Delta? Click here to view sample trips now!